Hungry For Change Free WorldWide Online Screening. 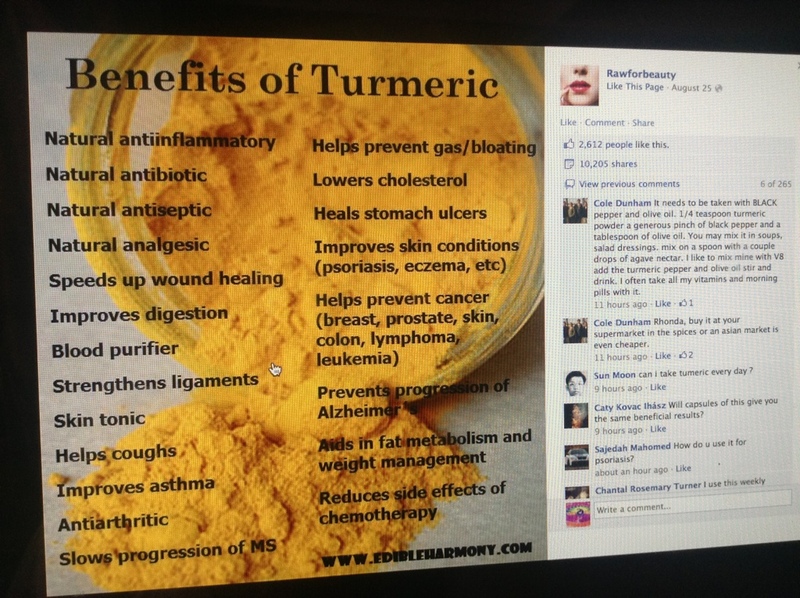 Thanks to a Facebook post for this image and reminder of how Tumeric is a powerful healing agent. I take one half teaspoon daily in my morning apple cider vinegar tonic drink. It’s quite an inexpensive item that can used as a healing agent in tonic drinks and used in cooking soups and veggie dishes daily. Also can be used in a homemade facial scrub regularly to brighten complexion, remove blemishes and pimples and soften skin. Here’s to your good health! Happy New Year 2013!